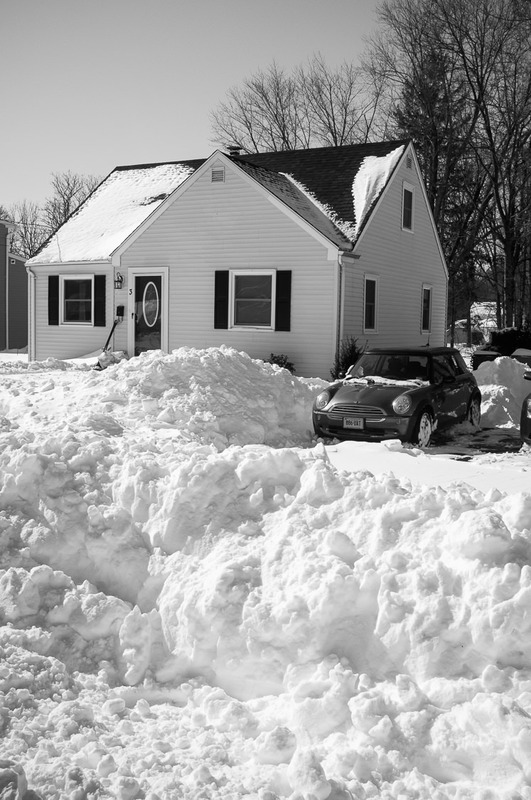 Fast forward 4 years ago to the date and Connecticut is once again in the middle of a snow storm. This time, it's not going to accumulate as much as it did 4 years ago, but this time, we will get anywhere between 8-15 inches. 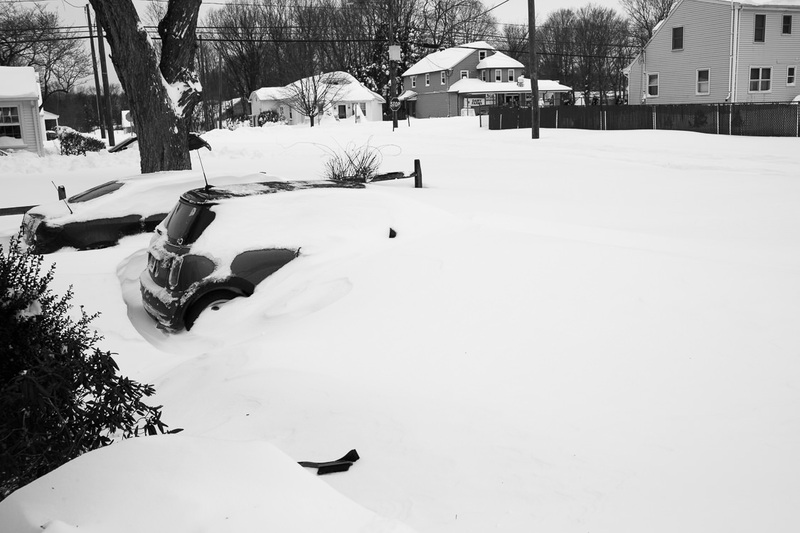 These are some images I snapped during the blizzard of 2013. These were taken in black and white on my Fujifilm x100 camera. I had purchased the x100 for snapshots on the go, much like these. Later today, I'll be taking more photos, this time on my more advanced Fujifilm XT-2. 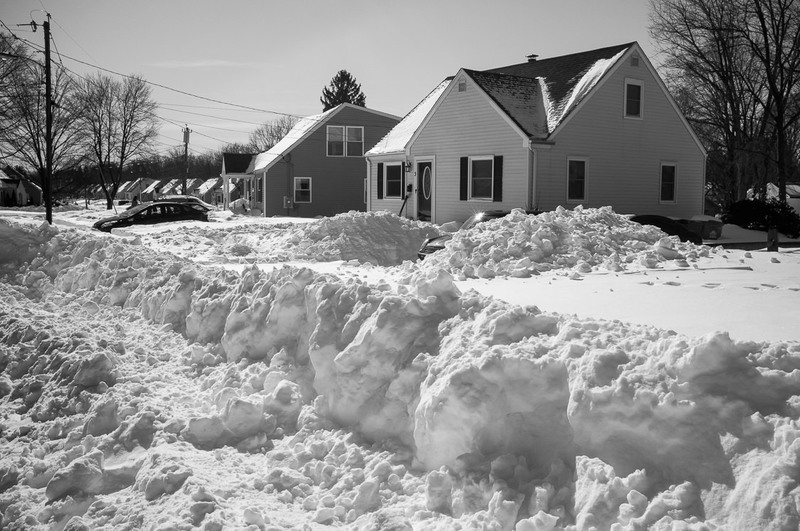 This image was the first site of the blizzard once the snow had stopped on February 9th, 2013, nearly 3 feet of snow. Like the banner image above, there were a few headlines. I took these images on February 10th, the day after the storm. A little quick walk to the local neighborhood convenient store. Fun fact: This storm took place before we owned a snow blower. 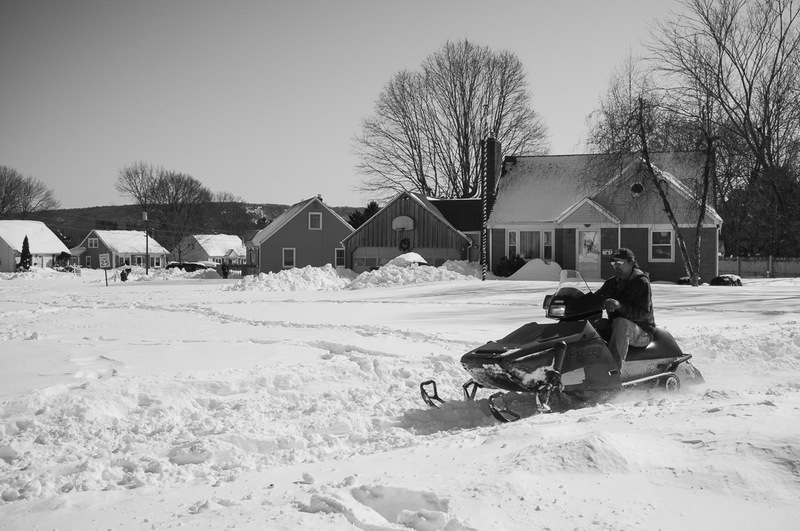 The neighbors taking full advantage of the blizzard. 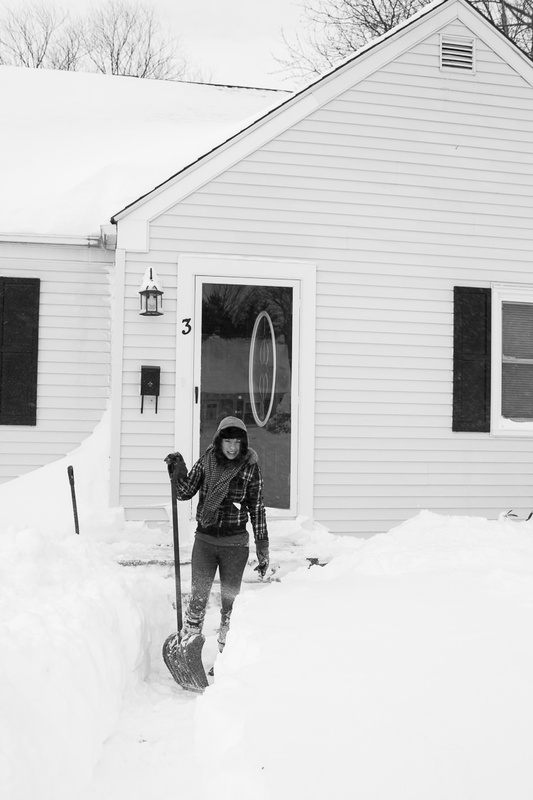 Post shoveling. With some help from our neighbors snow blower. 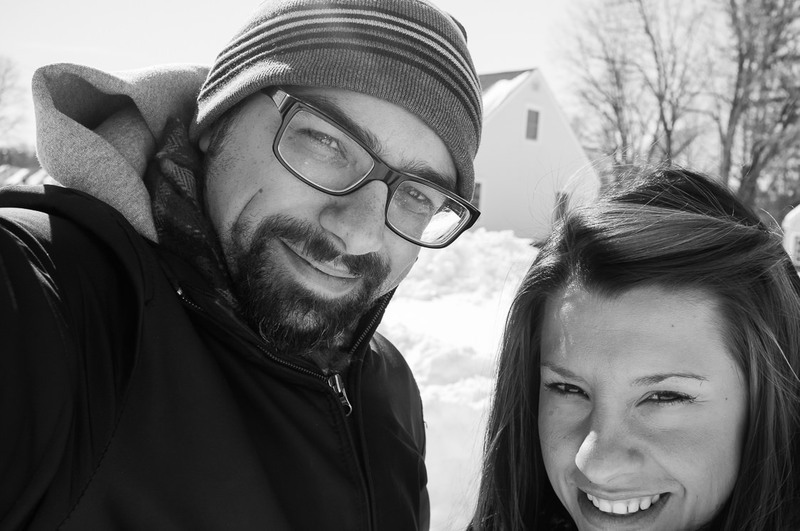 My wife and I do enjoy a good blizzard. 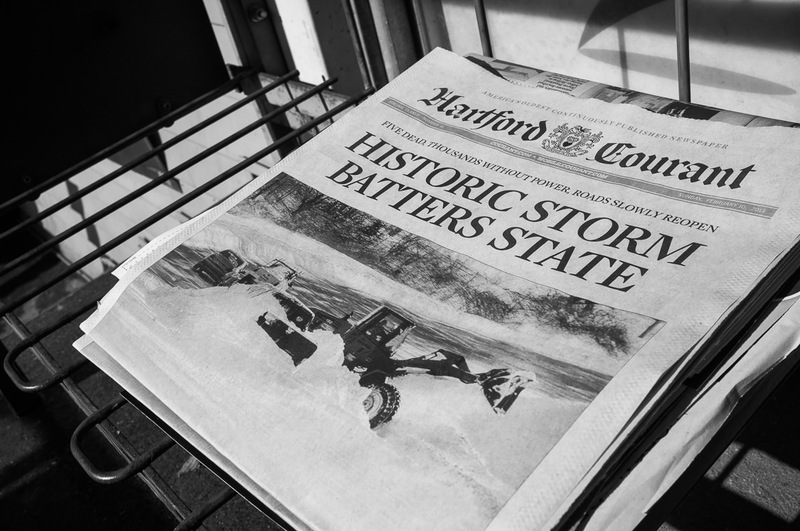 Do you have any memories or stories about the 2013 blizzard? Leave them in the comments below. For those of you in Connecticut, or surrounding states today, be safe. 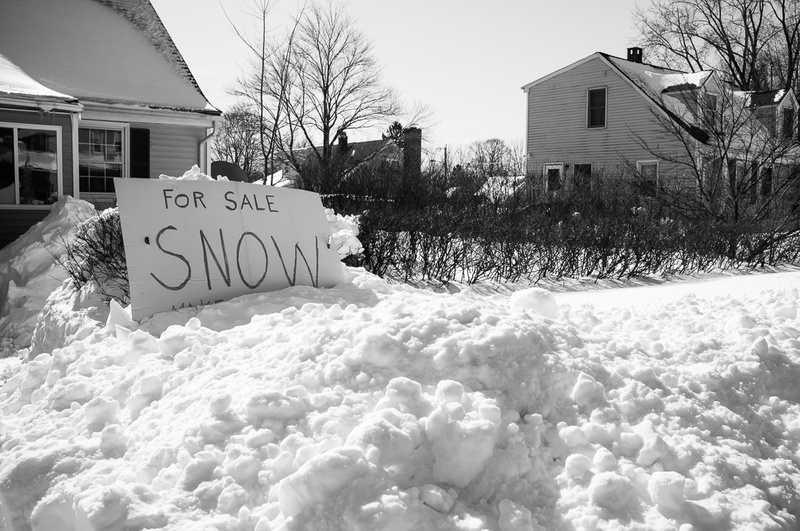 But definitely take advantage, enjoy the snow, and all the beautiful views. Take photos too so you have something to look back on like we did, you'll greatly appreciate it later. I know I definitely do.